Members of the TS-SIS and its Executive Board have read and studied the consultant’s report on the Annual Meeting, and offer this feedback, following the order of the report’s sections as closely as possible. We agree that people attend conferences for their networking and educational value. The consultant’s report notes that attendees “desire solutions that improve their companies or their professional condition” (p. 6). TS-SIS is committed to ensuring that Annual Meeting programming meets this goal. The work of technical services librarians differs markedly from that of other law librarians because it is production-oriented and judged by metrics, and consequently our programming must reflect that difference. The consultant’s report contends that “the SIS committee meetings and programming at the Annual Meeting have created splintering factions, SIS fatigue where leaders have to attend too many meetings instead of conference education, and AALL’s own competing forces” (p. 7). We respectfully disagree with this assertion. The TS-SIS Education Committee vets program proposals for both AMPC submission and SIS sponsored programming. It winnows out weaker or duplicative program proposals and gives guidance to strengthen programs. TS-SIS limits the number of programs it offers, Committees have combined meetings with Roundtables, and our chairs make judicious decisions about scheduling. We are not continuing to expand our programming unchecked. For example, in 2012, we will combine our incoming and outgoing board meetings into one session. TS-SIS is willing to continue its efforts to reduce the number of meetings and roundtables it offers based on member feedback, but we do not wish to eliminate vital collaborative meetings that bring real value to us individually, to our employers, and to our profession. Compelling programming draws attendance. Rather than see a popular SIS-sponsored event as weakening the conference, we should respect the important niche it fills. The consultant’s report suggests that the top Annual Meeting audience segments are Academic, Private, Research Instruction and Patron Services, and Computing Services (p. 9). Technical services librarians do not fit easily into any of these segments. Our interests span the segments, and as a result technical services programs draw substantial audiences. In fact, over the years it has not been rare to encounter crowds overflowing the insufficient space allotted to a session on a technical services topic. The report asserts that “Allowing all SIS to offer programming and hold committee meetings during the conference is not in the best interest of the entire profession or the conference participant” (p. 9) and that “People attend the conference for education and networking, not to attend SIS or committee meetings” (p. 10). We believe that our meetings are educational. The Special Interest Sections supply programming that is in the best interest of their respective groups. Technical services librarians cannot justify attending the Annual Meeting based solely on the number of AMPC programs devoted to technical services issues. Independent TS-SIS programming was fought for and eventually achieved after years during which AMPC virtually ignored technical services topics. AALL charges a fee for SIS-sponsored program evaluations, so TS-SIS uses Zoomerang.com, which is free of charge. Attendees at TS-SIS sponsored programs are encouraged to complete these evaluation forms online. TS-SIS also conducts biennial membership surveys in which we actively seek comment and implement program suggestions from the membership. As recommended in the report, we create conference education that “differentiates itself from all other industry education offerings that focuses on attendee learning” (p. 10). The AALL Annual Meeting is THE place to go to learn about acquisitions, cataloging, preservation, etc. as these areas specifically relate to law librarianship. We have success in engaging the experienced professional as well as the novice. The consultants recommend that “AALL should implement other educational strategies such as Peer2Peer Roundtable discussions …” (p. 21). Roundtables and hands-on programming have been hallmarks of TS education for decades. A number of TS-SIS groups meet as roundtables to discuss common concerns and issues. These roundtable discussions engage adult learners at all levels of experience. The TS-SIS Board does not agree that committee meetings have no place at a professional meeting. All our committees have teleconference meetings and email correspondence among members throughout the year. Our meetings at Annual serve important purposes of networking among existing members and recruitment among existing and potential members. And sometimes those meetings are not small, and sometimes they offer the most exciting and passionate discussions of the conference, as anyone who has attended one of those exhilarating sessions can attest. Practically all TS-SIS meetings are open, and walk-in members are encouraged. Unlike AALL committees, for which people are selected and membership is limited, TS-SIS committees accept volunteers, making it much easier to get involved and participate actively. Our productive and industrious TS-SIS committees are engaged in meaningful services that add true value to the entire profession. We are not “planning our SIS year” (p. 10), we are conducting vibrant work for the profession. The benefits of our work are felt by every law librarian and legal researcher who turns to an online bibliographic database for help. We exemplify the goal of “serv[ing] our members best by serving our profession first” (p. 9). We are collaborating with OCLC to retrospectively add the new law genre/form terms to all appropriate bibliographic records in the OCLC database. We championed efforts to implement COUNTER and SUSHI standards. We provide a constructive flow of information between librarians and MARC record vendors through our Vendor Records Quality Committee. The committee provides a strong unified voice to demand high-quality records and to provide feedback to those vendors that do adhere to satisfactory standards. We sponsor the Subject Authority Cooperative (SACO) Law Funnel, which empowers all librarians to recommend new law-related subject headings to improve the Library of Congress Subject Headings. In each of these cases, TS-SIS committees formed action-focused groups in direct response to needs expressed by members. These are the very kinds of services that a professional organization should offer. Under Politics, the report recommends that “The primary focus of the AMPC should be one of identifying the top three or four audience segments’ needs, challenges and issues” (p. 11) and goes on to say that “AALL must take control of the SIS programming and move it all to one day or not offer it at all during the conference” (p. 12) and “The SIS groups do not offer programming that’s in the best interest of AALL’s top three audience segments that will help the conference grow” (p. 13). This sounds to us ominously akin to the situation before the reforms of the last ten years. We are concerned that technical services programming will once again be marginalized, while focus is narrowed to segments of the membership deemed more likely to generate revenue. The Politics section also contends that “Current SIS programs are actually a liability … because of the lack of accountability for the SIS’s to provide quality programming” (p. 13). On the contrary, we take our programming decisions seriously. At the 2011 Annual Meeting, TS-SIS separately coordinated four programs. We are not unaccountable, but rather we administer detailed attendee surveys to gauge the success of these programs-similar to the very recommendations in the report (p. 19). The evaluations of TS-SIS program are overwhelmingly positive. Our results exceed the consultant’s eventual goal of 90-95% favorable. Three of the programs achieved scores indicating 96-100% satisfaction, and 97-100% of respondents agreed that the content would “benefit [them] in [their] workplace or career.” The remaining program achieved 77% and 83%-closely matching the initial benchmark in the report (p. 19). Only three respondents indicated that the programming was too basic. The report also claims that “Currently the SIS groups are taking up unnecessary meeting space to have small board/committee meetings during conference education … Utilizing a disproportionate amount of meeting space, without food and beverage revenue, makes AALL less desirable to these facilities” (p. 12). TS-SIS is sensitive to the need for the Annual Meeting to produce revenue. In Philadelphia many TS-SIS meetings ordered coffee and breakfast foods. In comparison, none of our Board membership could remember any AMPC educational sessions with food or beverages. TS-SIS recognizes that the call for proposals comes too soon after the previous year’s conference. We reserve one programming slot per conference for a “TS-SIS Hot Topic.” In 2011, the TS-SIS Education Committee posted a call for ideas to the SIS membership in March. The Education Committee began coordinating the session in late April and May, just prior to the conference. The report’s proposals for changing the functions and procedures of the AMPC may be useful, but we don’t believe they will fundamentally alter the predisposition of AMPC members, few of whom have backgrounds in technical services, to dismiss technical services programs as uninteresting or arcane. TS-SIS does not relish the prospect of having to contort its program proposals to meet some all-encompassing conference theme that has nothing to do with technical services. The TS-SIS Board agrees with the recommendation that AALL train, coach, and evaluate speakers on content design, delivery and visuals, and is ready to engage enthusiastically in efforts to improve the learner experience through presenter training. The consultant reports that “First-time attendees are overwhelmed by the number of choices, lack of educational tracks and endless list of committee meetings that don’t apply to them” (p. 4). TS-SIS has been lobbying AALL about the importance and value of establishing educational tracks for a long time. Several library conferences, like LITA and Computers in Libraries, already define specialized tracks. Rather than limiting SIS involvement in programming, we request that the consultant’s report be interpreted as a need for more direct SIS input in organizing tracks for the conference, although we do not believe that the primary audience segments identified in the report can serve as tracks. The consultants suggest that “Another way to focus on quality over quantity is to design more keynote or general sessions” (p. 4). The TS-SIS Board believes that the typical keynote and plenary-type programs are better suited and more efficiently presented in printed library literature, blogs, and webinars. These “thought stimulating” presentations are generally not applicable to solving concrete workplace problems and challenges. Technical services librarians need to be able to justify conference attendance and expenses with attainment of practical knowledge. 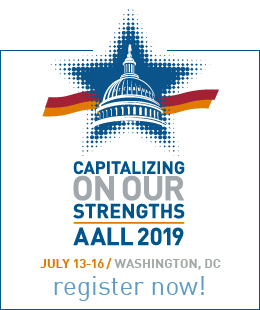 Rather than provide more keynote or general sessions, AALL should free up more of the schedule. Our strength is in the variety of our buffet-style offerings, and in trusting our innovative and intelligent membership to connect its own dots. 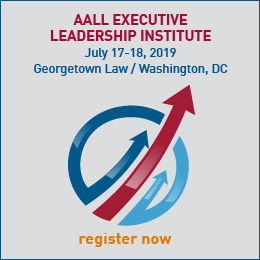 As a nonprofit professional membership organization, AALL cannot play favorites or appear to play favorites in educational programming based on income potential. TS-SIS makes up a sizable constituency. As of January 17, 2012, TS-SIS has 663 members (more than 14% of AALL’s 4650 total). The consultant’s focus on “attracting the top three market segments” marginalizes our membership in AALL and our role in the profession. The report repeatedly presents opinions as statements and facts without references. As outlined above, our experience with the annual meeting and the work of the TS-SIS is very different from what the consultant’s report asserts. The consultant’s executive summary notes: “Your participants want sessions that include advanced content that is narrower in focus and led by presenters that will guide them through how to apply the content. They also want content that will help them solve their problems and challenges. They enjoy topics around new technologies that can be applied in the work place” (p. 3) .This is exactly what TS-SIS provides. We pride ourselves on addressing the needs of our large and active membership. The services and programming offered by TS-SIS are vital to the health and success of AALL. We believe that the AALL staff and the AALL Executive Board can work together towards the goal of increased Annual Meeting attendance by incorporating the report’s recommendations for improving presentations, while avoiding its more divisive suggestions, such as eliminating programming for those outside primary market audience segments and excluding SIS programs and meetings.